More time than is wise is given to the interaction between these barbarian savages and the ancestors and ghosts of the dead who seem to plague their every waking moment. That being said, the books do require of us a 'willing suspension of disbelief'. All four books for me personally were a joy to read. Looked at from outside, Scott's Britons can be seen as the Romans saw them, as primitive tribes who feud amongst themselves, have no agreed system of law, paint their bodies and believe in a pantheon of strange gods — expect that she makes it clear that the 'rational' Romans' belief in many gods is every bit as strong. Graine goes to Mona, where the dreamers can care for her, while Breaca tries to conceal her new frailty and to keep the hearts of her warriors strong. She teaches shamanic dreaming courses based on the ethos described in the books, insofar as it may reasonably be applied to contemporary living. But the biggest drawback lies in the conclusion. Also noticed Scott left out some of the more grisly parts of the sacking of the Roman cities, like cutting off women's breasts and sowing them to their mouths. Fire, sickness and slaughter will all be necessary before Camulodunum, Verulanium and Lugdunum will fall. It might be expected that one draw back of writing the story of the Boudica is the fact that we know how it ends. But to crush her enemies for all time, the Boudica must do more than lead her army in the greatest rebellion Britain has ever known. There is no going back. The battle for control of Britannia is depicted as a clash of cultures. Amidst fire and bloody revolution, the Boudica and those around her must fight to keep what matters most -- now and for all time. But much of the rest is not born out by common experience. Of course, heroic things happen. Things really paced fast in the third book and I went into the last one without pausing as it was all fresh on my mind. Twenty thousand warriors are poised to reclaim their land from the invaders. Very enthralling final book in the series. Besides, I like Dark Ages historical fiction because so little is known - so, that part of me is less easily triggered; it's very annoying when an otherwise great book keeps bringing me out of my dazey haze to be irritated. 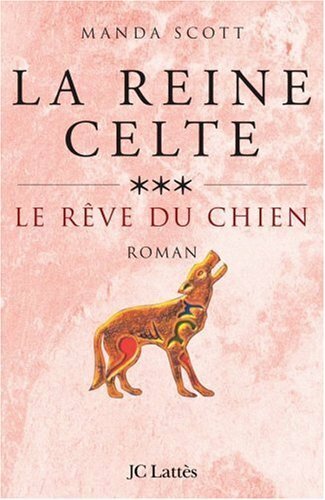 Although still a young child, Graine shows a maturity and understanding well beyond her years but one that perhaps borders on implausibility considering the physical and emotional trauma she experienced at the hands of the Roman conquerors. 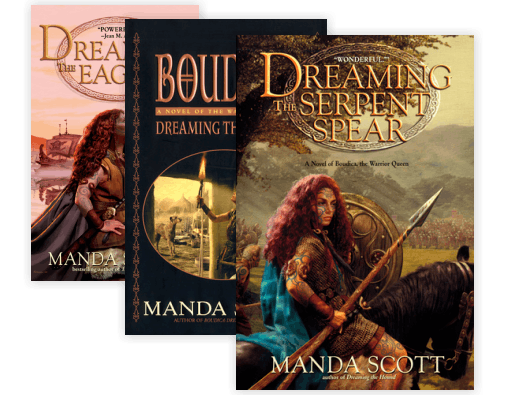 And this all detracts not one jot from these four excellent novels Manda Scott has 'dreamed up' -- lovely stuff, congratulations on a series that rivals Dune in its scope and integrity. Things really paced fast in the third book and I went into the last one without pausing as it was all fresh on my mind. I highly recommend these books to anyone. I was not sure of the true ending so had an open mind how it would end by the author. There's also a very weird Joan of Arc vibe to the visions and messages the heroes receive throughout each book - the gods just seem to be laughing at the petty mortals all the time. The only downside is that I sometimes was a little bit confused when old and new characters came together. I wasn't much of a reader before so I am incredibly grateful to Scott, not just for the books but also for igniting a ferocious appetite for literature. And although she takes a lot of liberties the ending feels right for the characters she has built so far. The tribe rituals and how they worship their god's totally tripped me out but believable for that time frame. 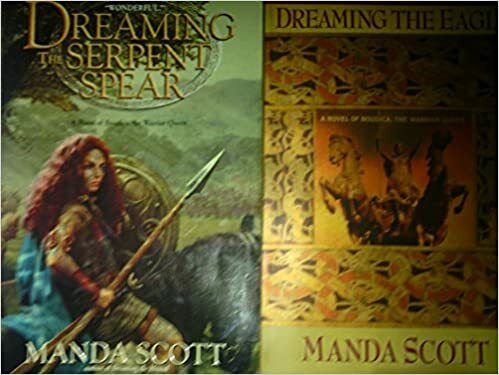 This final book coalesces the threads from previous books and brings them to a culminating, climactic battle in which Boudica is killed and the Celtic warriors are forced to retreat in defeat. In spite of that, I persevered just because the writing and the research was s This is a very good book. She must find healing for herself, for the land - and for Graine, her eight-year-old daughter. And, finally, there is Boudica, a mother, a sister, a warrior, a hero, and a leader. But to crush her enemies for all time, the Boudica must do more than lead her army in the greatest rebellion Britain has ever known. Boudica's end as told in this novel sounded much more plausible than Tacitus's saying she poisoned herself. Graine goes to Mona, where the dreamers can care for her, while Breaca tries to conceal her new frailty and to keep the hearts of her warriors strong. I felt sad when it ended and would like to know how the characters like Graine developed. But somehow, even when they do it is still sad. As a gay man, I'd have to be in the minority of her readership. Colchester is burning and London is lost without hope. I love everything ab I really enjoyed the final book of the Boudica series. I love stories in which we are shown that people believe deeply in a certain faith system, but it takes away some of the human power once we sense that the author also believes in this supernatural quality. I always want to feel that one could, if one tried, rationalise the events of a story, even if our characters see them different. This is the time to act: the Roman governor has marched his legions west to destroy the druidic stronghold of Mona, leaving his capital and a vital seaport hopelessly undefended in the face of twenty-thousand warriors aching for vengeance. Anyway, I was cross throughout that the author kept calling Londinium 'Lugdunum', which was Lyons. The final book of the series veers more toward historical fantasy than historical fiction in that gods and spirits of the ancestors intrude in the affairs of humans with greater frequency than in previous books. Given the pace of the first three books, I'm thinking this tale could have been made to end in book three. In this case - like in - I really enjoyed the fantasy element - and I am so not into the fantasy genre generally, there is so much in this world to marvel at and think about that why would I want to travel to somewhere else? But to crush her enemies for all time, the Boudica must do more than lead her army in the greatest rebellion Britain has ever known. Scott effortlessly conjures up the rhythms of ancient British life, and her writing has a haunting, elegiac, nobly spine-prickling quality: the literary equivalent of a carnyx echoing far off in the mist. The development of the characters and their emotions bleed from the pages right down into my own soul. And animals continue to be endowed with an uncanny connection with humans, anticipating their thoughts, actions, and emotions. It simply amazed me how these roman soldiers fought because they were told too, not because they wanted too - they had no choice but to fight or be killed by their own governor. Obviously a huge number of fans are lapping it up, but I suspect she's preaching to the converted here - her books essentially end with a link to her website where the faithful can sign up to one of her Dreaming Workshops.